It’s been a crazy year for rap music! From surprise album drops, rap beef (or whatever you want to call it), DJ Khaled’s keys to success, and most importantly bringing back the importance of lyrics, 2015 has been a movie on Sway in the Morning. We’ve seen some of the game’s biggest stars come through and have quality conversations, we’ve seen some crazy antics and we’ve taken some trips around the country. 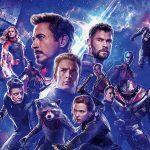 From all these incredible moments we’ve boiled things down to a list of 5, check them out below! Back in August we had Hopsin, Jarren Benton and Dizzy Wright of Funk Volume come up to the show for a live in-studio performance. Between songs the trio took turns joking about their fan-boy moments from Jarren meeting Scarface to Hopsin being denied a chance to meet Busta Rhymes. The mood was light and the FV boys were killing the mic, that all changed at the 27 minute mark of the coverage when Sway started throwing out the names of other labels and putting Funk Volume right along with them. Things immediately got interesting when Hopsin jumped in. I would put $500,000 on it that no label could f**k with us. The only label to really respond to this challenge was Horseshoe Gang to which Funk Volume clapped right back. Although the challenge didn’t amount to a full blown label cypher, it was definitely a top moment on Sway in the Morning. Not all our best moments in 2015 were hard hitting hip-hop news, Lil Dicky snuck in the mix with his actions. Taking his hits and turning them viral with hilarious music videos, Lil D had a few infamous moments on Sway in the Morning in 2015. Kicking things off with a very forward advance at Michelle Obama in a freestyle, Dicky turned things physical during his live in-studio performance. The title “Lemme Freak” speaks for itself but Dicky topped that by performing the track in the lap of Heather B and Tracy G, something that you just have to see for yourself. 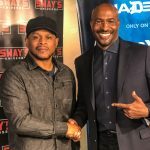 Our good homie and Shade 45 exec Emimen shook up the internet in 2015 as he held nothing back during an exclusive Sway in the Morning freestyle. From Bill Cosby to Caitlyn Jenner, no one and no subject was safe from the wrath of Shady. But more than that Em stayed for an incredible interview with Sway. The friends spoke about the “Southpaw” soundtrack, Em’s love for producing and the work he did for Jay Z, plus the Detroit native gave insight into living in the D and coming up with his alto-ego, Slim Shady. Once again, something to sit back to, relax to, and something to absorb as one of rap’s greatest simply speaks his mind while dropping subtle gems. Please, enjoy! 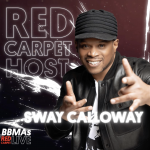 From the Sirius XM studios in NYC to a tour bus in sunny California, Sway had the opportunity to sit down with YG during his tour with J. Cole. The conversation stemmed from music and dove into personal matters as YG told Sway the story of getting shot outside of a studio in Los Angeles. I got shot… I was on the balcony. Dude was poppin’ up. So it [the bullet]went up, it went in, it went out and went back in right around here. He showed us the wound as he explains that the incident nearly got him kicked off tour. Knowing the importance of YG’s presence, J. Cole stepped in to keep him around. Although J. Cole’s last solo album “2014 Forest Hills Drive” didn’t drop in 2015, the Fayetteville native had one of the most powerful campaigns of the year. Rocking the biggest stages in the country and dropping an inspiring documentary through HBO, Jermaine Cole is one of the top artists to watch going forward in 2016. During the San Diego stop of his tour with YG and Big Sean, J. Cole sat down with Sway and dropped GEMS! He broke down all of his Dreamville signings and what makes them different, why he chose Sean and YG for his tour, and most importantly he explains why he doesn’t follow the industry standards. You don’t have to have the features. You don’t have to drop the single. You don’t have to have the radio record before you put the album out. You don’t have to follow them rules. You can put out what you love and still sell records if you connecting with people. It ain’t gonna be over night. You do art first and build the business around that. By those lines alone, this sit down with J. Cole was an easy choice for the top moment of the year. Enjoy! 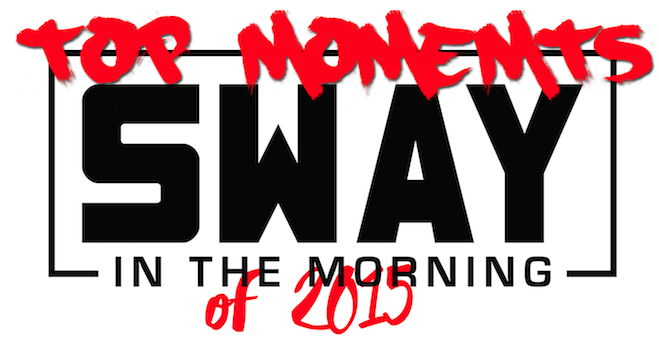 What a year 2015 was for Sway in the Morning and the fun will definitely not stop here! Stay tuned right here for our exclusive Doomsday Cypher footage which will go live next week!